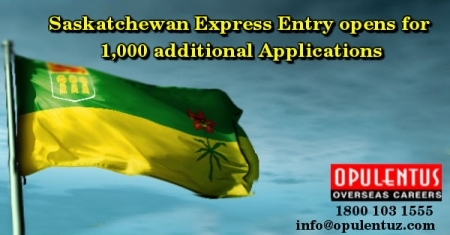 The International Skilled Worker Express Entry sub-category, of the Saskatchewan Nominee Program, has made an announcement to the effect that it would accept and consider1000 applications. This provides an excellent opportunity to all eligible candidates present in the Express Entry immigration pool of the Canadian government to file their applications to receive a provincial nomination not worrying about a job offer. When the application asking for a nomination in the SINP Skilled Worker Express Entry sub-category, is successful, the principle of time-related arrival of candidates comes into action. It gives 600 Ranking points, and an ITA for PR to be issued in a later draw, from the pool. Previously this sub-category was announced in July 2017, when the intake of new applications totaling to 600 was filled up quickly. Among the 42 occupations listed, 19 do not require professional license to get a nomination issued. Saskatchewan introduced a guideline to the effect that a few applicants must obtain professional licensure, to complete the process for the applying, for immigration. This process has a provision and can be completed when the candidate is out of Canada. An application which is submitted by a person in any of the following occupations, and does not have an evidence of licensure, can be included for processing, till such evidence is given. All the relevant documents should be included in the application, and failure to do so the application will be returned unsuccessfully leading to the non refund of CAD $300 processing fee. a Score 60 points out of 100, on the point grid. One year experience of work in the last 10 years, in a skilled profession, in the field of education, or training occupation, or Two years of work, in a skilled trade, in the last five years, or 12 months experience of work, in the country, during the last three years. The Intake period in this sub-category is very short and gets filled up in few days. Hence preparing in advance, meeting the guidelines, and following PNP updates, regularly is important to attain success.